She's also proof that old can be new again. Boots Anson Roa shows us that there's always room for change. After years of being a widow, she got married a second time last June 2014—before she hit 70. The veteran actress shares some advice for young women. Take down notes, ladies. On love: "For those looking for love, or for those who are blessed with a second chance already, remember that, yes, the fear will always be there, but we can always overcome fear with faith, prayer, hope, and a readiness and willingness to accept whatever will come our way. Stand by your decisions." On life: "While we may take life and our obligations seriously, we should never take ourselves seriously. If you make a mistake, okay lang—tao lang. Make your life less stressful, and learn to laugh at yourself—that's a great [quality] to have." Something else is new with Boots. 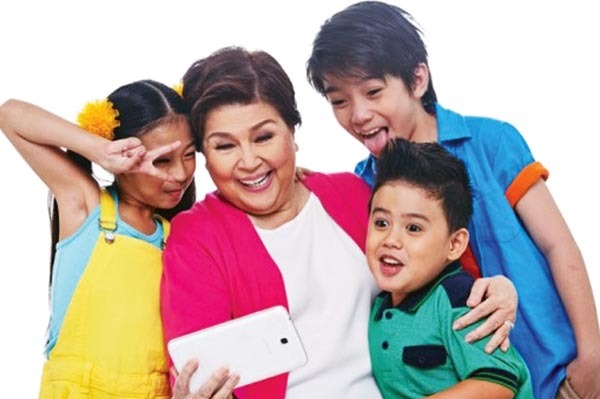 She plays Lola B, the techie grandmother of three who tells classic stories through online video chat on LolaBasyang.com, a series on TV5. Sounds familiar? 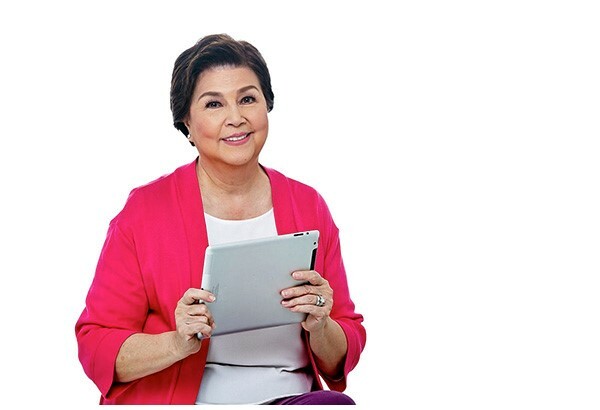 She is Lola Basyang of the digital age. When the chance came to play the role of Lola B, Boots felt excited. "I can identify with it. I have four children and nine grandchildren," she says. "I used to read to my children, and I still do for my apos. It helps in storytelling that I'm an actress. The voices I make are a bit more interesting, and the movements are different." Ang mga Kwento ni Lola Basyang has endured for decades since its first story appeared in Liwayway magazine, and LolaBasyang.com is its latest adaptation. Boots gives an explanation for its staying power: "The theme of good versus evil is immortal; it's classic. In the end, good will always win. Lola Basyang is not only a storyteller but a provider of these lessons in a [gentle] way—just like how a lola would do it!" Boots continues, "I think LolaBasyang.com fulfills a dual purpose: It not only resurrects the Lola Basyang series, but it also keeps [the stories] interesting for [today's] children. The format is very in; the target audience understands technology so easily. The show really connects the old and the new." Pagpapahalaga sa pamilya. Most, if not all, of the stories revolve around a family, showing that there will always be family to go back to and will love you just the way you are. May malasakit. There will always be people (or in the Lola Basyang stories, enchanted creatures!) who care enough and will help our heroes or heroines reach their dreams or become the people they are destined to be. Maginoo. Raise your hand if you think chivalry is dead! Well, in Lola B's stories, men treat women as they should be—with respect and kindness. Mapagpatawad. The heroes and heroines run into problems and awful creatures—but they find it in their hearts to forgive and move on. Mapagmahal. They say that Filipinos are emotional, easily swayed by feelings rather than logic. But then too much love is never enough. 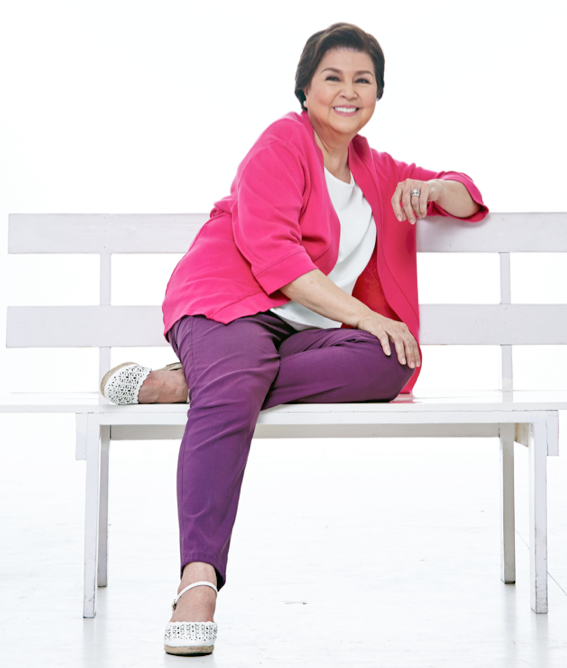 Catch Lola B on LolaBasyang.com every Saturday, 7:00 p.m. on TV5.